Tentage Rental and Canopies – Which Should You Choose For Your Event? Outdoor venues are great choices for summer events. Party tents can help accomplish an unforgettable outdoor event. These tents can keep your guests dry when rain unexpectedly pours and can also shield your guests from the scorching heat of the sun. 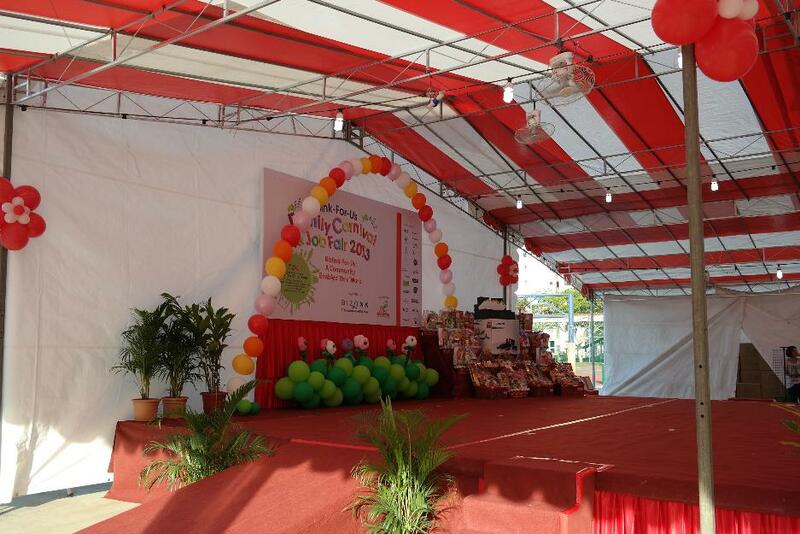 There are various types of party tents available in Singapore tent rental suppliers. Such tents come in different forms, sizes, and styles. Each of them have their own feature that best fits to a particular event, such as wedding, birthday party, small get-together, and many other more. Here are some of the tents available in tentage rental companies and a short description of their features for you to know when and where they are most suitable for. This type of tent has no side walls and is the most economical one. If you’re planning for a backyard barbecue party with the family or just looking for a little shading for an outdoor activity, a canopy tent is an ideal pick. Canopies must be secured into the ground and needs four to five additional feet on all four sides for staking. Frame style tents are ideal if you can’t stake, there’s no enough space for guy ropes, or installing up against another structure, like patios, decks, buildings, rooftops, or on boats. These tents are erected on the ground and skimmed with fabric. The metal structure from Nanyang tentage in Singapore that supports the whole tent does not need the tension of guy ropes to keep it still. However, for further security, it can be anchored to inserts, directly staked to the ground, tied to weights, or in most cases a combination of securing methods can be used. A frame style tent has no center poles, letting you decorate the interiors freely and maximizing every space available inside the tent. Moreover, frame tents are sturdier than other tent styles and can endure heavy snow loads and strong winds. If you need more space than what a frame style tent can provide, ask your tent supplier if they can provide you clear span tents. 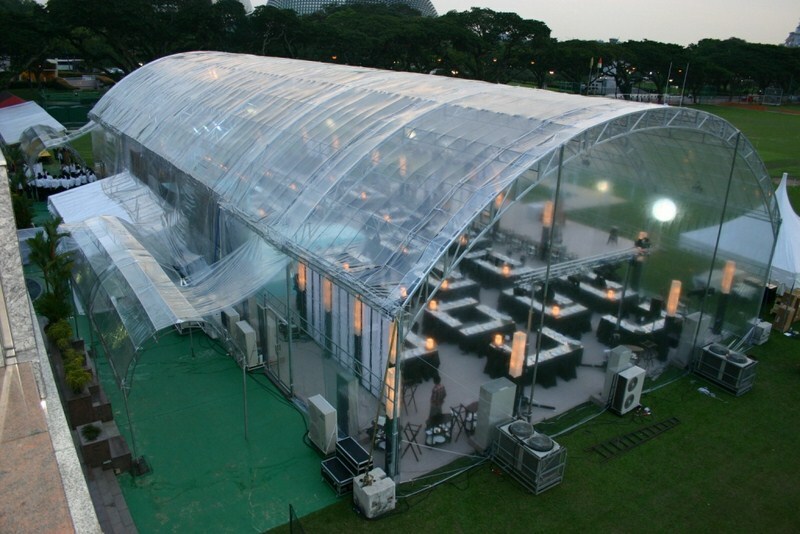 Just like frame tents, clear span tents are from center poles, allowing space maximization and more mobilization inside the tent. 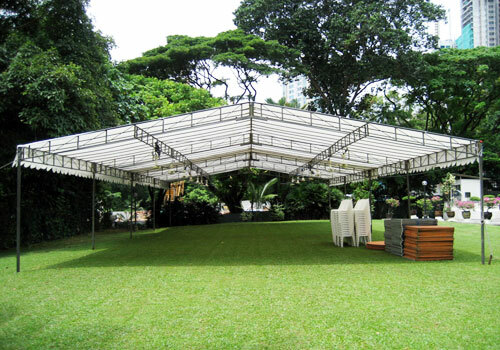 Commonly, such tents are used for big events like weddings, commencements, and corporate events. And most tentage rental companies pair these tents with chairs and tables, decorations, and audio system for a complete party package, as it is utilized mostly for such a function. It also requires long term installation since its immense structure needs rigid support. Clear spans are constructed with gable ends and feature an “A” frame interior made of heavy duty metals. High peak tents are commonly used in events that usually run for a long time. This is also a very popular pick for Singapore weddings because of its elegant high peak look. Furthermore, such tents are very durable, which can endure heavy rain and strong winds. Its peaked roofs are designed to let rain run off smoothly. High peak tents are also highly portable, but costs more than the other portable types of tents. This entry was posted on Tuesday, February 4th, 2014 at 9:42 am by Editor	and is filed under Smart Choices. You can follow any responses to this entry through the RSS 2.0 feed. You can skip to the end and leave a response. Pinging is currently not allowed.